October 3, 2015: Wait Wait…It’s Peter Sagal with Congressman Adam Schiff! October 3, 3:00 pm. Buy tickets here. At the Writers Guild Theater, 135 S. Doheny Drive, Beverly Hills, CA 90211. For those of you who listen to NPR’s news quiz show, Wait Wait…Don’t Tell Me, you know that it’s really one of the funniest shows ever, on any media platform. Big statement but it’s just the truth. Wait Wait… is the most popular show on NPR. 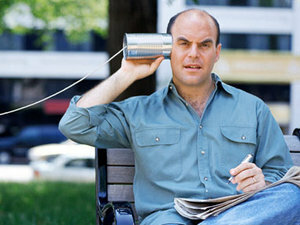 The guy most responsible for that is the show’s host, Peter Sagal, at its helm since 1998. So Who’s Peter This Time? Peter is more than just a funny news wonk—he’s a playwright, screenwriter, actor and writes the Roads Scholar column for Runners World. He and his team on Wait Wait…. make all bad news bearable, and they enlighten us about news we might have missed but really couldn’t live without, because much of it is so utterly crazy and absurd–and funny. 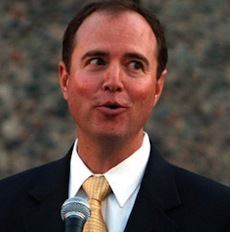 Adam Schiff is not a comedian by trade, although he is a member of congress. He serves on Important Committees, and is the ranking member, or top Democrat, of the House Permanent Select Committee on Intelligence. For those of us who have no idea what that bland- and vague-sounding name really means, hear this: the committee oversees the Departments of Defense, Homeland Security, Justice, State and Energy. Remember, he’s the top Democrat on that Committee. Congressman Schiff is an activist member of Congress, whose interests and accomplishments extend to crime and public safety, mass transit, press freedom, NASA and science funding, and more. We are proud that he’s local, representing the 28th Congressional district, which includes a huge swath of Los Angeles County, including Pasadena, Burbank, Glendale, West Hollywood and more.